Seven-time Grammy winner and Pollstar’s three-time top female country touring artist, Carrie Underwood, will launch a new arena tour, “The Cry Pretty Tour 360,” in Spring 2019. 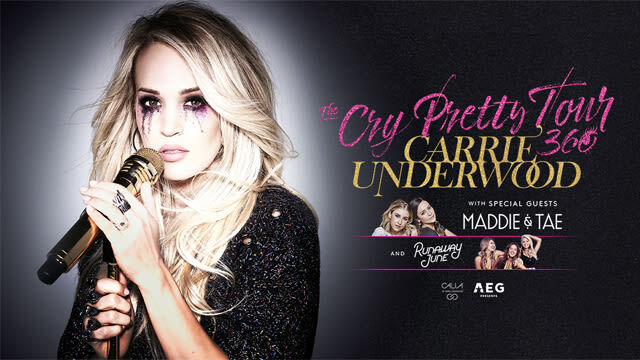 Sponsored by CALIA and promoted by AEG Presents, The Cry Pretty Tour 360 will visit PNC Arena on Mon., Sept. 30, 2019. She will be joined on tour by special guests Maddie & Tae and Runaway June.